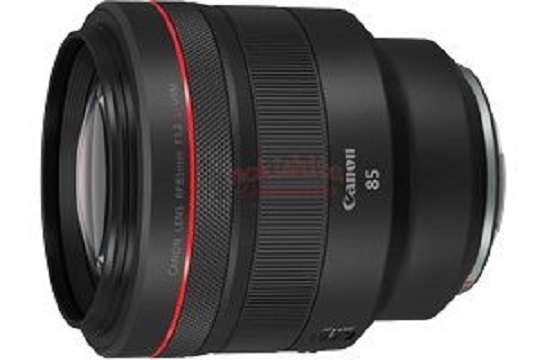 Trusted sources are claiming that Canon will soon announce a new Canon RF 85mm f/1.2L USM DS Lens. 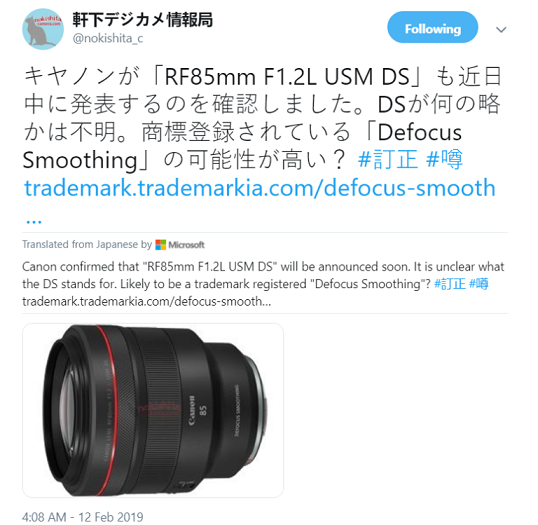 It is unclear what the DS stands for, and it’s very likely the “DS” in the lens’ moniker stands for “Defocus Smoothing”. The upcoming Canon EOS RP full-frame mirrorless camera along with 5 new RF-mount full-frame mirrorless lenses official announcement will be on February 14, 2019.